Japanese grammar shite imasu (しています) has various functions and you have already learned some of them in the basic lessons. For example, you have learned about Progress Action, Habitual Action and Occupation in basic lesson 22. You also learned about State Continuation in basic lesson 29. 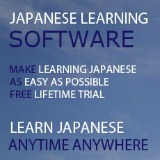 In this lesson, you will learn another function of the shite imasu (しています). In this case, shite imasu has a totally different meaning and it's mostly used to emphasize the description of appearance or shape. Note: The Noun here refers to names, shapes, colors, etc, of our body parts. Meaning: Ms Tanaka's face is round. However, you can also describe the same thing by using the Japanese grammar shite imasu. Meaning: Ms Tanaka has got a round face. 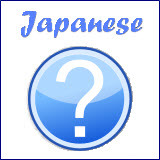 In the above example, the shite imasu (しています) means "has got" or "possess". Using this sentence pattern you can describe appearance of other people, the shapes, colors, etc of their body parts. Meaning: Elephant has got long nose. Meaning: Monkey has got red buttock. Meaning: Mr Yamada has got short legs. Meaning: Mr Suzuki has got long legs. Meaning: Ms Tanaka has got long hair. Meaning: Ms Tanaka has got black hair. Meaning: Ms Tanaka has got big eyes. Meaning: Ms Tanaka has got a big mouth. Meaning: Ms Tanaka has got red cheeks. Beside describing the appearance of people, this shite imasu (しています) can also be used to describe appearance of animals. 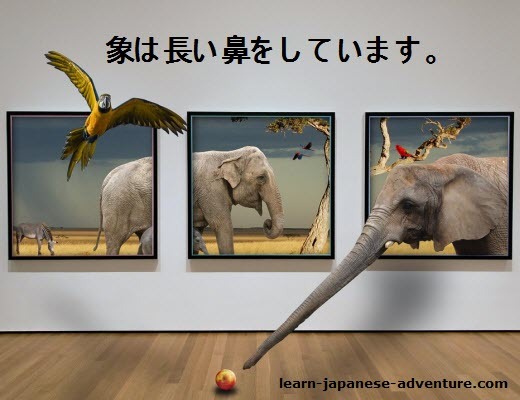 Basic Lesson 22: Japanese Verbs on Progress Action, Habitual Action & Occupation. 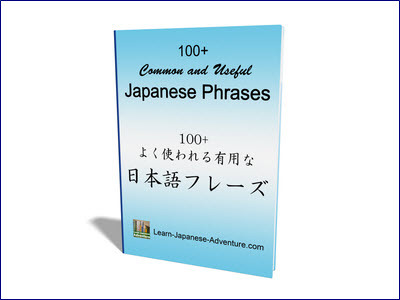 Basic Lesson 29: Japanese Verbs on State Continuation.